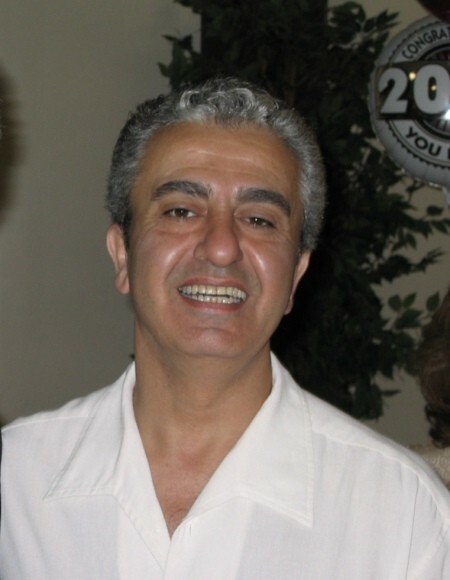 Obituary for Arthur Khatchadrian | Vraim Funeral Home, Inc.
Arthur Khatchadrian. June 15, 2018. Who passed away Friday Morning in his home. His viewing and funeral will be held on Wednesday June 20, 2018 in St. Gregory’s Church 8701 Ridge Ave, Phila. Pa. Viewing 9:30 to 11am with the funeral service at 11am. Interment; Arlington Cemetery. Arthur is survived by his loving wife Silva, Children Mardik, Zara, and Hovik, his mother Arusiak , brother Berge and Hasmik, and nieces and nephews Linda, Chris, Mko, and Ani. In Lieu of flowers memorial contributions may be made to his family. May he rest in peace.